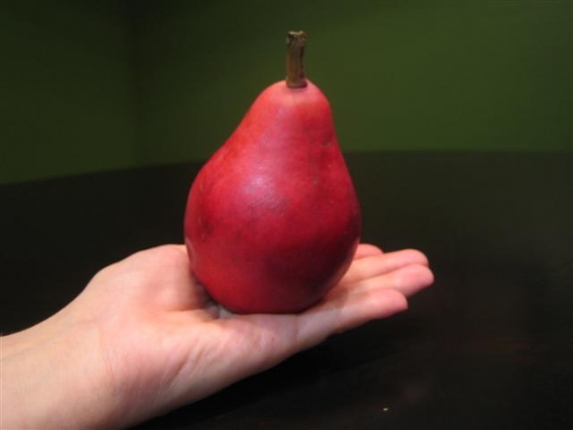 If you fight over getting to be Miss Scarlet on mystery dinner night (and I don’t mean mystery meat night – I can’t imagine why you are here if you are the kind of person that has a mystery meat night) then this is the fruit for you! 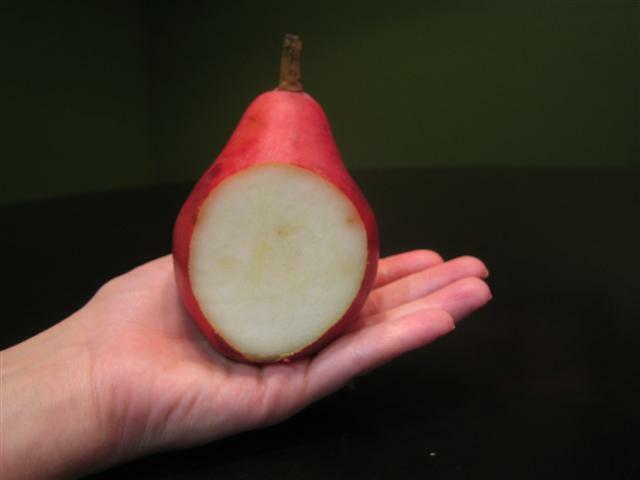 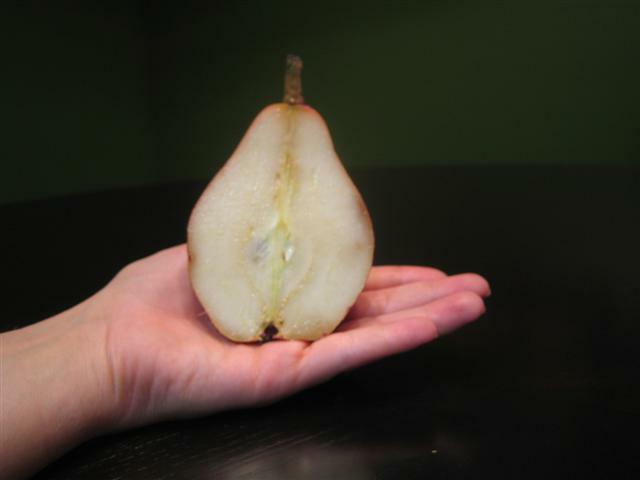 This is a creamy, floral pear with beautiful skin and flesh. Generally being likened to a pear isn’t particularly flattering, akin to being called plump and disproportionate, but if I was being compared to a Starkrimson I would say thank you and smile for the rest of the day.